In the last Article , we had seen an Introduction to trading . In this section we will see what are the 3 M’s of Successful Trading as per Dr Alexander Elder . I will give brief introduction of each of it , Its your responsibility to take it further and learn it in detail . take this as just a starting point . # Individual psychology of traders : You have to understand how to control Fear and Greed . How you should take rational decisions and not fall pray to your emotions while trading . # Mass psychology of the markets : You also have to understand how mass psychology works . Why most of the people do what they do . # The rules for maintaining personal discipline : You also have to understand the importance of Self Discipline, why you must be always consistent with your trading . You must never violate your rules . because in long run your discipline in one thing which will make you most money , not your knowledge or your skills . This is the part which deals with your knowledge about market , technical analysis , other tools which you can use to make Entry and Exit from any trade . This part is perceived to be the most important aspect and most of the people run after these a lot , but these are the least important part of your trading . Let us see part of this . These deals with the tools available for making decisions , for example , MACD, RSI , Stocastics, OBV and other 200 weird words. Then you must know different types of patterns, which gives some idea about future action and how masses are thinking, some examples can be double top, Head and shoulder pattern etc. 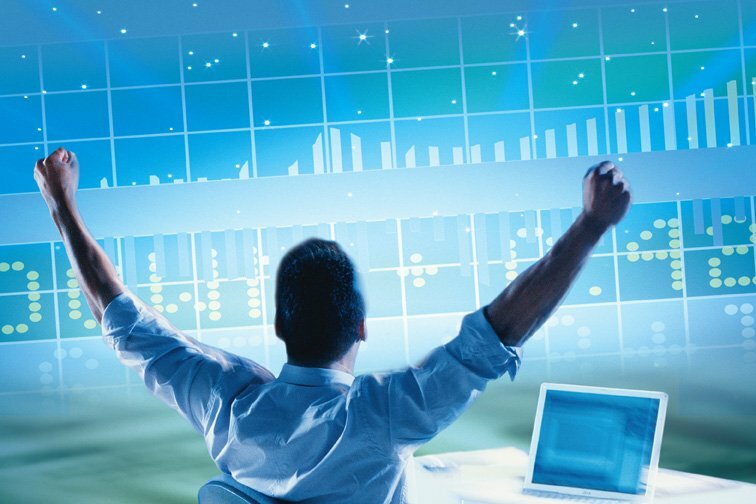 Then finally after you are done with knowledge part, you should build up your trading system. what is trading system ? Its your rules for buying, selling, booking profits and cutting losses. Now this part is an amazing one and my favorite 🙂 . What this determines is how will you manage your money , it decides how much money will put in market at any given time , and how much loss will you take maximum on any given trade . How much will be your maximum loss on any one trade, things like that . Basically this part decides how long can you in the game of trading if things would go wrong . This part is extremely important . Without proper money management no can can survive for long in Trading . Lets see some basic and widely accepted views . This rule days that on any given trade your loss should not exceed 2% of total capital . So if you have Rs 1,00,000 , first time your loss should not be more than 2,000 . This rule makes sure that even if you make long series of loosing trades , still you are in the game . Even if you make 10 consecutive loosing trades , your overall loss will be 18.3% , Though this will be rare , still you take care of this situation . This rule says that your monthly loss should not cross more than 6% in a month . Sometimes when you trade it may happen that there is some problem with your analysis or some issue between you and market which can not be explained , you keep trying to win , but don’t succeed, that time you have a great urge to revenge trade and get your money back . The best thing at that time is to stop and get some rest , go for vacation and come back with fresh mind . This rule will make sure that if your chemistry with market doesn’t fit , you stop after loosing 6% of your capital . You can choose your own percentage amount . This part says that you should always keep all the information regarding each trade . Buy price , sell price , date of purchase , how many days you carried , Reason for buy , reason of sell , what you learned from the trade , chart at the time of buying , charts at the time of selling etc etc . Record keeping makes sure that any day you can go back to your records and see what kind of mistakes you have done, why some trade failed , why you succeeded in some trade ? you can get lots of information from your records , you need to analyse your performance over days/months/years . Its extremely important , after a series of trades when you look back to your records , you may be able to find out some pattern , some particular aspect or mistake which you do with each loosing trade and hence can take corrective measures . So, finally we are done with 3 M’s of successful trading . Professor Van Tharp , in this legendary book “Trade your way to Financial Freedom” talks about how the weightage they would give on these 3 M’s . Its totally opposite of what people perceive it to be , general people think that having all market knowledge and technical analysis is most important . Nothing is far from truth , It wont be too ambitious to say that you can make money in market by simple coin toss if your have sound money management Techniques and Great control over your self , you need to cut your looser short without any emotion and let your profits run till they can by sitting tight and doing nothing . So finally if you want to start learning Trading , Work hard on your Psychology part and money management techniques , Technical analysis and other knowledge is important but not vital !! . – Trading , What is it ? I was just confused how to start into trading ,after reading this article i am really confident to start and there is small grammar correction i found in this article is Without proper money management no can can survive for long in Trading . Yes, thats true .. all you need to start trading is a demat account and money, but most of people do exactly that, they just start like that only . what kind of learning and study have you done ? Yes i agree that these two demat account and money are important but which is the best bank to open a demat account and which broker company is good to start which company to buy shares are most important as well . I want to get into share trading with a minimum investment and your article has helped me a lot to understand the basics of trading. Thanks for this and i would look forward for more helpful articles. Great 🙂 .. Trad­ing suc­cess­fully is an art , which will hap­pen very slowly , Its not a quick thing .. So take time and use the clops model of learn­ing I have talked about . Also I do not write much on Trad­ing and stock mar­kets these days but you can per­son­ally mail me or chat with me on this topic . It seems that these three aspects are just elements of your “method” and that the other characteristics of “mind” and “money” are also very important. I saw the blog , It looks like another system for trading . I agree that it might me making great money , but its more of “METHOD” part . May be subconciously you have mastered the MIND and MONEY part . Not everyone would be able to make money with it . anyways . I would thanks you to introduce us with this system . You are invited to share more of your knowledge with us .